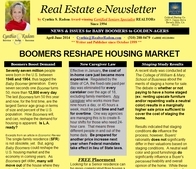 News & Issues for Baby Boomers to Golden-agers. 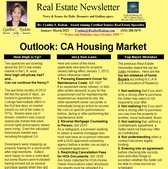 Cynthia's Real Estate Matters newsletter first came into print October 1999 as a vehicle to focus on the needs and interests of longtime homeowners. The first edition stated, "Even if you are not a Senior, statistics show that sooner or later you will be helping a parent or a friend make decisions about their real estate matters. 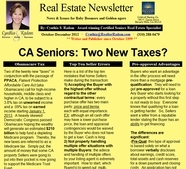 If you are a trusted advisor to a Senior, this newsletter gives you insight into some of the special issues facing mature adults." 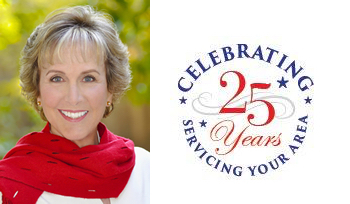 Based on positive feedback, Cynthia's objective has been achieved for the Senior market: To educate longtime homeowners about their (presumably) biggest asset; their housing options; their tax saving advantages and their property concerns. 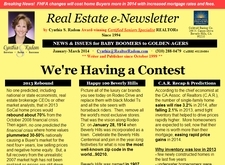 Sign up & get the latest edition today! 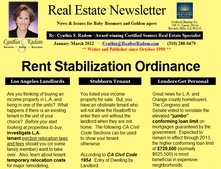 Join the more than 2,000 L.A. area homeowners and financial and legal professionals who already receive Cynthia's complimentary newsletter! Did you know that under CA law the sidewalk repair is the responsibility of the adjacent property owner? Even the smallest lip can cause significant injury and lawsuits, but the local City takes the brunt of a suit. Prop 13, followed by Prop 58, gives children who inherit their parents' home the ability to keep the low property tax even if they don't live at the residence. Such a tax break is unique to CA property owners and lawmakers want to close the loopholes. Plus...National Slowdown. 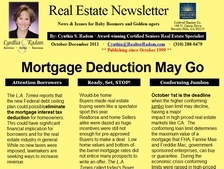 Property Tax Transfer & Capital Gains Deduction Deadlines. More! According to a recent survey, Gen X buyers are looking for "smart" homes. 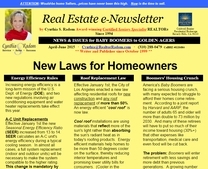 Learn about new energy efficiency rules from the U.S. Dept. of Energy, as well as LA's new "cool roof" law. 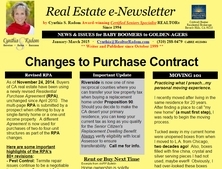 Unchanged since April 2010, a newly revised Residential Purchase Agreement (RPA) went into effect November 24, 2014. Rent or Buy Next Time? High buyer demand and low inventory is making multiple offers the norm for any listing that is priced to sell. 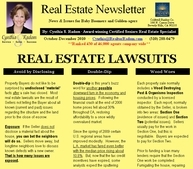 What really happens to the escrow money if the buyer defaults or breaches the contract? Seventy-seven million people were born in the U.S. between 1946 and 1964, thus tagged the Baby Boomer generation. Thanks to 2013, most property owners' equity is now in the black. Residential development in Century City is booming. How high will prices rise, and can we continue the frenzy? Today's mortgage rates have not been this low since 1960. When gas was 25 cents per gallon; bread was 20 cents per loaf and the average cost of a house was $12,700. Helloooo, Buyers!!! Lack of jobs has been touted as the key factor affecting the U.S. economic recovery. 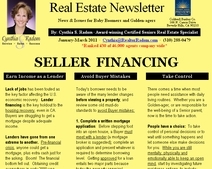 Lender financing is the key holdout to the housing recovery, even in CA. Buyers are struggling to get a mortgage despite adequate income. Lenders have gone from one extreme to another. Pre-financial crisis, anyone could get a mortgage, plus extra cash just for the asking. Boom! The financial bottom fell out. Today's borrower needs to be aware of the many lender changes before viewing a property, and review some old must-do standards to avoid Buyer mistakes. There comes a time when most people need assistance with daily living routines. 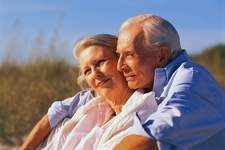 Whether you are a Golden-ager, or are responsible for the well-being of a Senior parent, now is the time to take action. People have a choice: To take control of personal decisions or to wait until something happens and let someone else make decisions for you. Tell a friend about Cynthia! Do you know someone who needs Cynthia's real estate services? 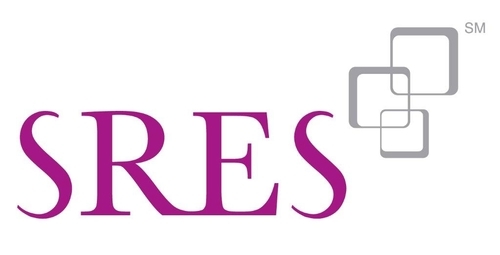 REALTORS® with the SRES designation have the knowledge, experience and expertise to help Seniors make wise decisions about selling the family home, buying rental property or managing the capital gains and tax implications of selling real estate.